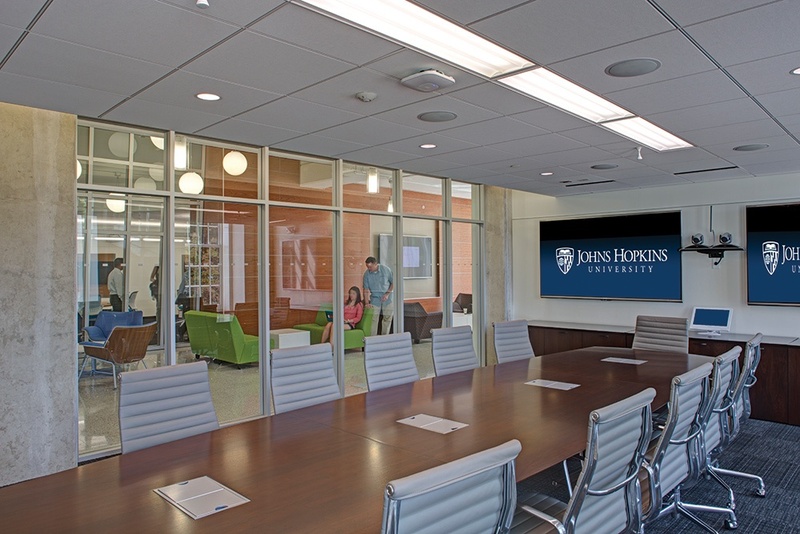 Completed in 2014, Malone Hall is a 69,000-square-foot open concept research center and one of the largest buildings ever within the John Hopkins University’s Whiting School of Engineering. 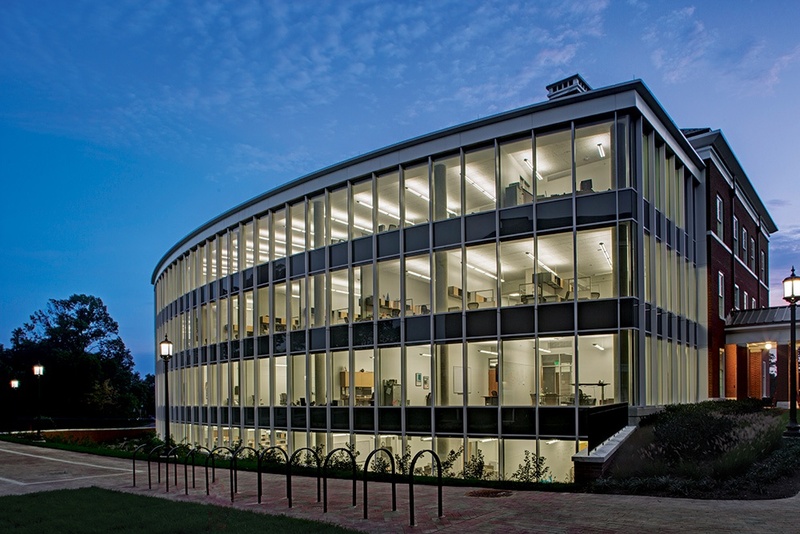 During the building process, CRH was selected to supply the aluminum curtainwall, exterior brick and interior glass. In addition, CRH provided technical expertise and logistical support to ensure the project met the owner’s performance and schedule goals. 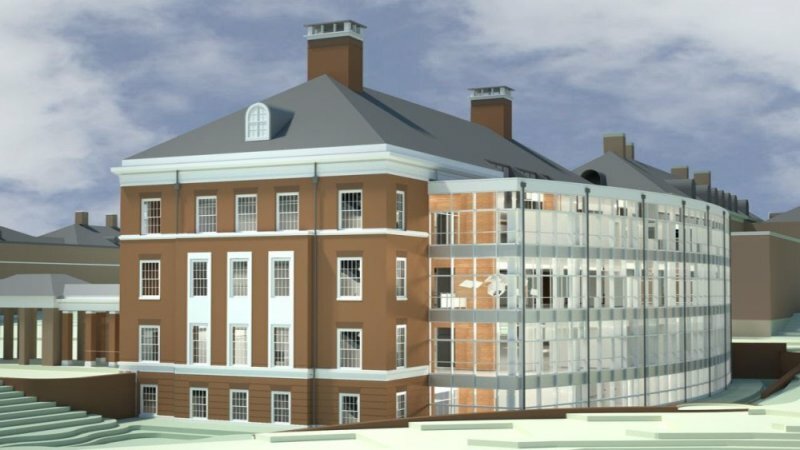 Whiting-Turner Construction Co., the general contractor of the Malone Hall project, faced the challenge of reducing the cost of the glass curtainwall without sacrificing performance or aesthetics. By working with local glazing subcontractor Zephyr Aluminum, the curtainwall design experts at Oldcastle BuildingEnvelope®, A CRH Company, developed a custom solution for the Hall's glass curtainwall. In fact, the contractor realized a savings of 15% on the product while maintaining the aesthetics the architect wanted and meeting the performance goals of the owner. In addition to meeting the aforementioned project goals, Malone Hall received a LEED gold rating for its energy conscience design. The LEED program (Leadership in Energy and Environmental Design program) is an internationally recognized program administered by the U.S. Green Building Council. The Building Solutions team values its contribution to a project that will, ultimately, improve patient care, spur advances in technology, and help find solutions to some of the nation’s biggest challenges. With the largest breadth of products in North America and an extensive network of on-the-job verified subcontractors, learn more about the vast solutions we offer general contractors.